Clark State President Dr. Jo Alice Blondin, chamber executive, Chris Schutte, Miss Ohio Teen Shelby Stapleton, Miss Ohio Sarah Newkirk and Melissa Pitchford from the Miss Ohio Organization announce that Springfield will host 2016 pageant in November. 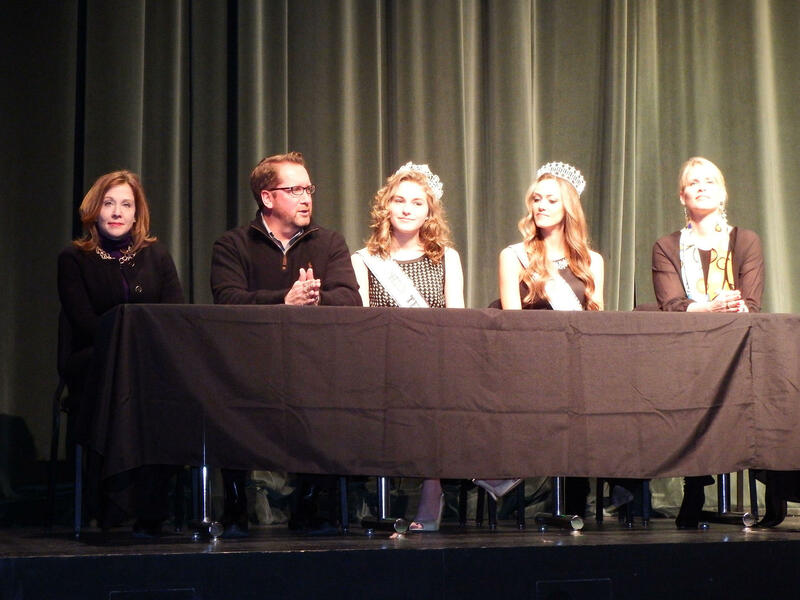 It was announced at the annual Greater Springfield Chamber of Commerce Expo Thursday evening, that the city will play host to the 2016 Miss Ohio USA Pageant in November at the Clark State Performing Arts Center. The pageant was previously held in Portsmouth, but officials believed that Springfield was a better location. The event is expected to draw more than 2,000 people to Springfield and will generate a half million dollars for the local economy according to estimates from the chamber. Melissa Pitchford, executive state director of the Miss Universe Organization, says the event will bring a Hollywood-style atmosphere to Clark County. It gets exciting there will be red carpets, and glamour and celebrities. It's just a lot of fun," she explained. Reigning Miss Ohio Sarah Newkirk feels Springfield was a good choice to host the pageant. "The venue is very important for us contestants. Seeing this venue for the first time, I'm very excited and I think it's lovely and I think it's going to be a great year," Newkirk said. Miss Ohio USA 2016 will be competing for numerous prizes and scholarship money and will represent Ohio in the Miss USA pageant.